I ran into her royal apartments in Vienna by coincidence, being in the city for work. I had, however, noticed all the pretty dolls and portraits littering every tourist store, of a beautiful woman in a star studded dress, and was curious about her, being a royal buff and all. Though I’d read about her before, nothing had really stuck. I imagine much of the juicy stuff and details never made it into translation – before now, when a wonderful biography is available, and also some of her poems. And take me with you to distant countries. Freedom has turned its back on me. SHE NEVER BROKE – She continued to do her thing, no matter what. When court life became to oppressive, she made up illnesses and had the doctors send her to warm and luscious locations ‘to regain her health’. The newspapers were filled with article about the seriously ill empress, and people showed up at the train station to get a last glimpse of her frail form before she died. As soon as she was on her way, though, the Empress usually perked up. Throughout her life she was never in Vienna more than she absolutely had to, and was often on the move, travelling from place to place. Dear soul of the future! I entrust to you these writings. The great teacher who inspired them suggested what to do: that is, they may be published only when they are past sixty years from 1890 and the proceeds will be used to help victims of political persecution and their families in need. For in sixty years no more than today will the happiness and peace that is liberty be at home on our small planet. Perhaps on another one? Today I am not able to say it, but maybe when you read these lines … Have a nice day. I feel you near. SHE HAD A FLARE FOR DRAMA – See the “Titania” above. She dearly loved Shakespeare, and a had a young Gustav Klimt decorate the bedroom in one of her residences with scenes from “A Midsummer Night’s Dream”. SHE HAD SOME VERY HUMAN PROBLEMS – Elisabeth was anorectic. At 172 cm tall she weighted only 46 – 50 kilos and had a wasp of 48 cm when laced. Though ‘cursed’ with a sweet tooth (her favorite was candied violets), she forced herself through rigid diets, sometimes only drinking juices pressed from fresh meats as nourishment. She also had a primitive gym in her apartment where she went through various acrobatics to keep her figure. The vanity didn’t end there, she was fairly obsessed with controlling her looks and public image. Her hair reached below her knees, and it took the hairdresser 2-3 hours every day to have it made. After her early thirties, she didn’t sit for artists anymore, and refused to have her photo taken. 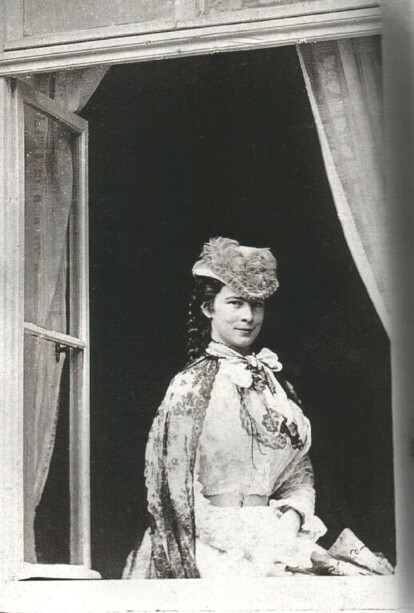 She wanted to be remembered as ‘the young and beautiful empress’. SHE WAS PRACTICAL – The time spent in the hairdresser’s chair, was used to learn languages; Hungarian and Greek. 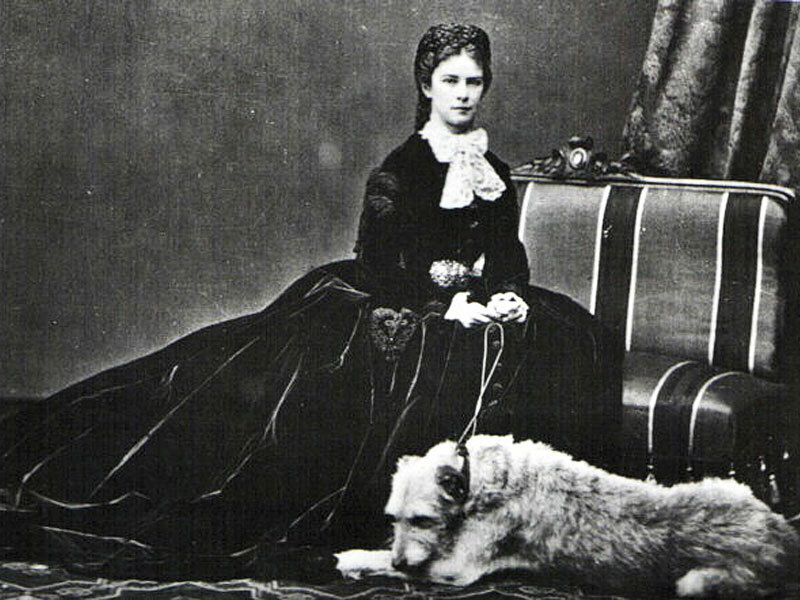 SHE HAD AN INTERESTING FAMILY – Like the Swan King, Ludwig II of Bavaria. SHE WAS A BIT OF A REBEL – She smoked and had a tattoo (an anchor). She also rode and hunted fiercely. More dangerous was the fact that she was also a very liberal and progressive woman, believing in freedom and equality. 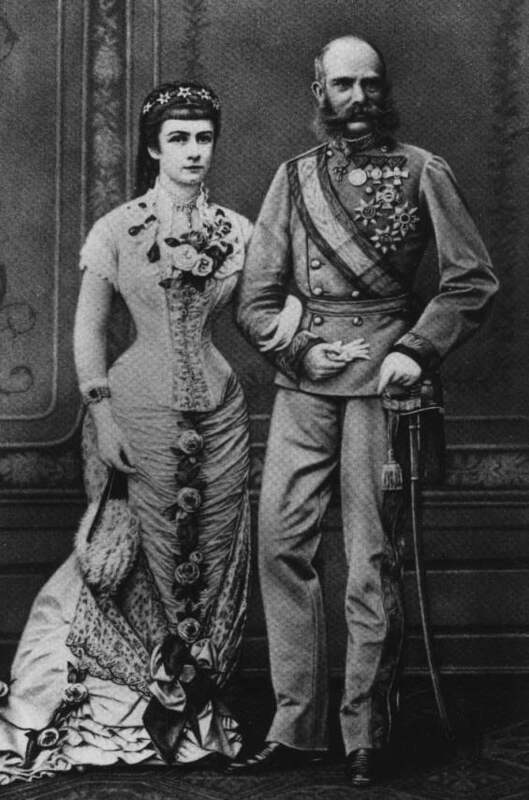 DEATH BECOMES HER – Her only son, Crown Prince Rudolf, died in his early thirties, in a contemporary scandal involving an underage mistress and a gun. Elisabeth was heartbroken for the rest of her life and wore only black in memory. She became a “lady in black”, rarely seen in public. Frills ago reverence to the people howling. They occur even in military uniform. SHE FOUGHT WHEN SHE HAD TO – When her son’s first tutor was about to kill the boy’s spirit with excessive use of military discipline, she spoke up and threatened to leave her husband if she wasn’t granted all say when it came to her children and their educations. 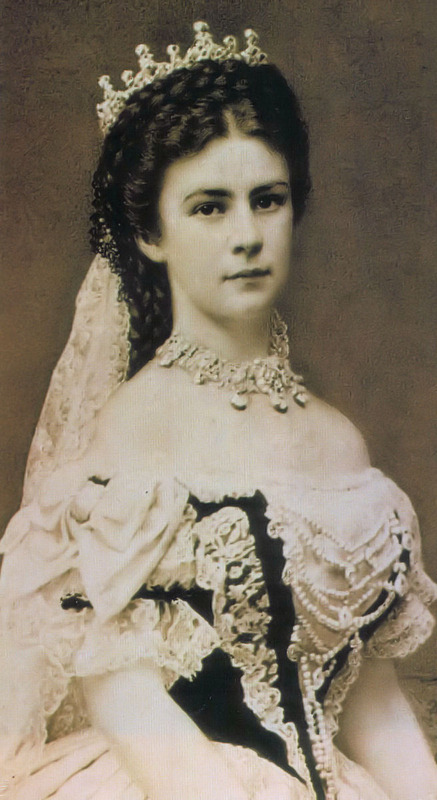 She was also a major pawn in the founding of the dual monarchy of Austria–Hungary, to which the rest of the Habsburgs were opposed. 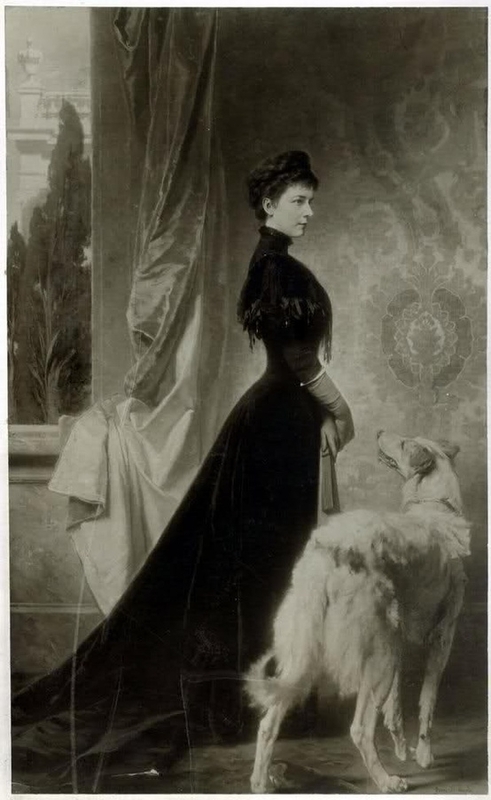 SHE DIED A MOST GOTHIC DEATH – In 1898, while travelling in Geneva, Elisabeth was stabbed to death by an Italian anarchist named Luigi Lucheni, who selected her because he had missed his chance to assassinate the Duke of Orléans who’d also been travelling. The whole ordeal was the result of a series of mishaps. Though she traveled incognito, she’d been recognized, and a newspaper published the name of her hotel, guiding Lucheni to her. After the attack, her corset was so tightly laced, and the blade so thin, that no one realized the empress had been stabbed in the heart. By the time the corset came off, she was already dying. This entry was posted in History, Uncategorized, Very good reasons. Bookmark the permalink.